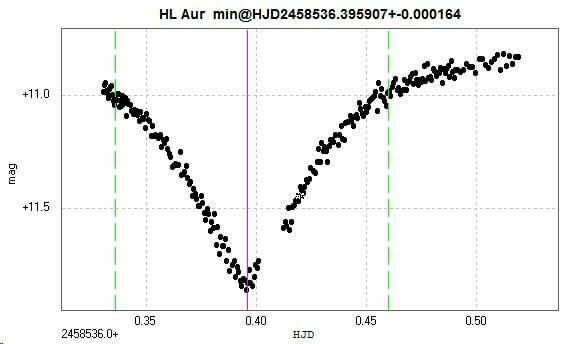 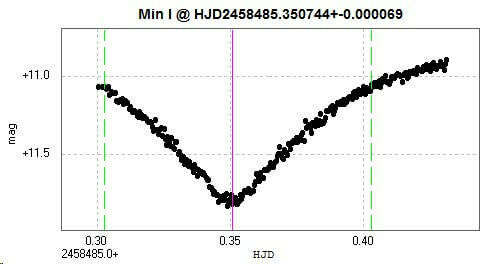 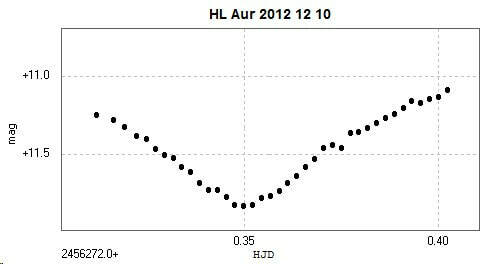 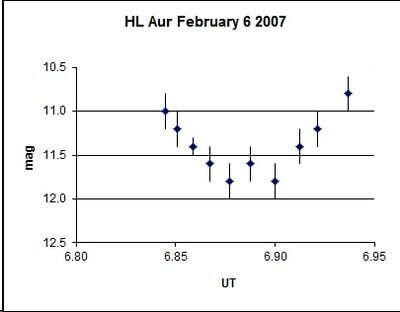 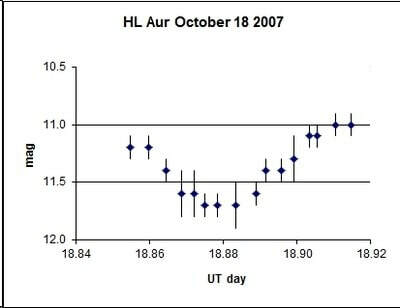 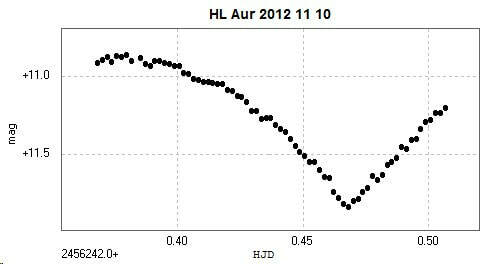 Primary minima of the EB type eclipsing binary HL Aurigae / HL Aur observed with the 2" Titan at Somerby Observatory, together with their calculated times of minima using Peranso ANOVA. 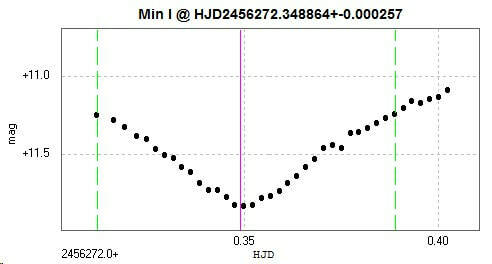 The corresponding light curve and phase diagram of the above four minima is shown below. 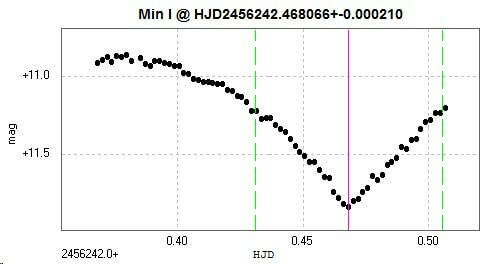 These are a couple of primary minima I observed visually with my 10" Newtonian from Somerby Observatory.